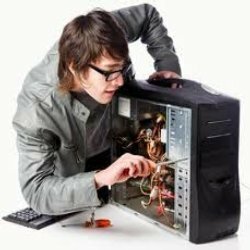 Backed by expert and experience team members, we are able to offer complete solution for Computer Repair and Maintenance. Our IT experts help us in meeting the precise demands of clients. Services offered by us are highly reckoned by large number of clients, as we offer timely and budget friendly services to our clients. We not only assist our clients in maintaining their PC but also suggest them how to protect computers and network from virus and other dangerous items. As we offer prompt 24 X 7 services to our clients, we are able to establish our self as the most preferred choice among our clients. We are looking for queries from Kolkata and neighboring cities mainly. Although we are new in the industry, our grasp and understanding of clients’ demands is precise and we provide solutions accordingly with quality. Due to this, we are successful in carving a unique identity for ourselves in the industry. We are among the eminent service providers of the industry engaged in a wide range of IT solutions in Kolkata. The effective methodologies followed by us have enabled us to render best services to our clients within their budget. The wide range of IT solutions offered by us comprises Computer Repair and Maintenance, Data Backup & Security, Proactive Monitoring & Preventive Maintenance Plans, Network Design, Installation, Repair, and Maintenance and Remote Server and Computer Repair. We also offer services like Network Services, Hardware Services, Data Recovery Service & Annual Maintenance Services. These services are widely being used and admired in both domestic and commercial sectors of the community. The proactive monitoring and preventive maintenance plans service offered by us minimize the downtime of system and maximize its performance. Our team of professionals is instrumental in rendering the best IT solutions to the clients and assists them in the best possible way. Further, our transparent business dealings with the clients have helped us to fetch the confidence and trust of our clients across the nation.